It’s gearing up to be review season at Loving This Tee, or at least I’m going to try to make it review season, seeing has how I haven’t had time to write them in a while and I have plenty of shirts to talk about. 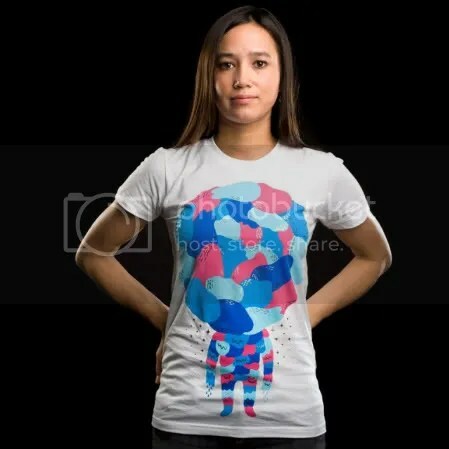 So let’s start things off with a sweet t-shirt from 604Republic called “Jeeves3000.” If the artwork style looks familiar, then you may not be surprised to hear that it’s by Alex Solis (alexmdc). Can I just say that he’s a fantastic illustrator? Because he is. Let me give you the lowdown on 604Republic. It’s a Canadian company started by a former co-founder of Split Reason, a popular t-shirt shop for geeks and gamers. When it launched in September, 604Republic’s mission was to be the best and biggest place to buy art hoodies. Things have changed in the past few months, as 604Republic is now a place for geeks and is focusing on pop culture from here on out. 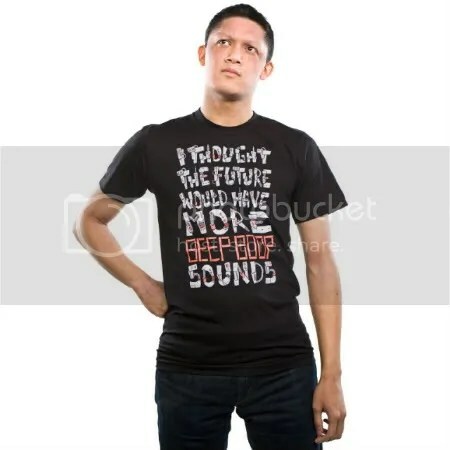 I’ve never seen black ink on a black shirt before, but it sounds like it could be really neat! What got me thinking about this color combination is “POV – Expansion Unlimited” from Arteefact. 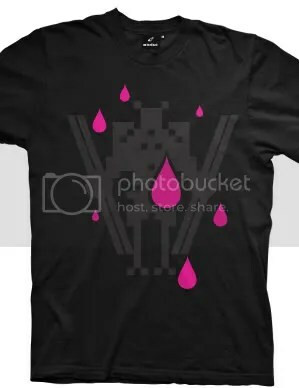 This is my favorite design out of their catalog, and one of the colorways is black and pink on black. Fascinating! 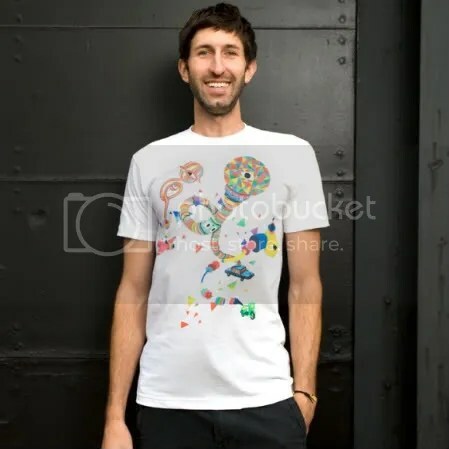 If you like abstract designs with robots and raindrops, or just like cool graphics on a tee, then definitely check this shirt out. It’s on sale at Arteefact for €25. I’m happy to say that I have some sweet new products to review over the next few weeks. The first product I will be reviewing is a shirt from ParrotGhost, a company based in Scotland. I honestly wasn’t sure of what to expect from this company, but to my surprise, the packaging was very professional! 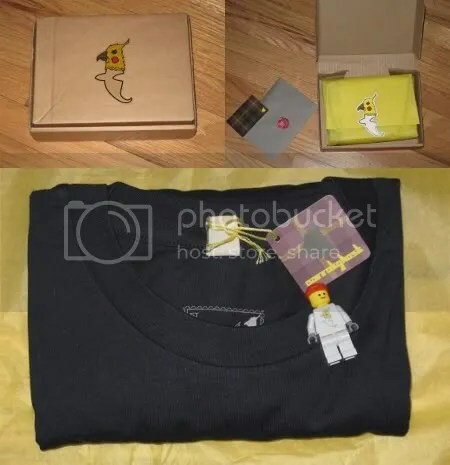 Everything had a nice ParrotGhost touch, and all of the package contents were branded with the ParrotGhost logo, including the little Lego man. 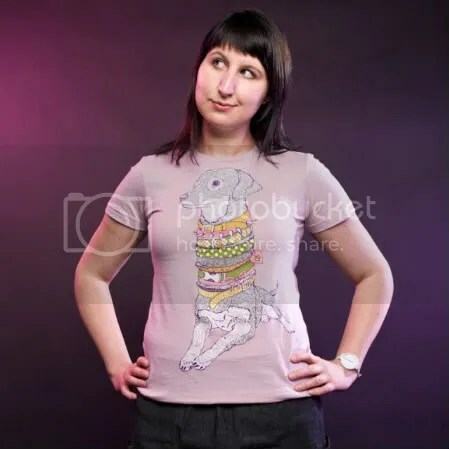 So I haven’t paid much attention to the price categories at Threadless, not until last night. I was pleasantly surprised to see that, as it reminded me of the old times when they would have $5 sales. Well it seems to be kind of secretive, or at least I’m just completely oblivious half the time, but it’s super exciting! 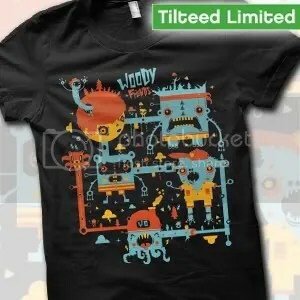 Go get some awesome graphic t-shirts at Threadless before they sell out! I love being an art curator at Tilteed. It’s not even possible for me to pretend this isn’t true. Looking at t-shirt designs all day long is just too fun! But why am I talking about curating? Well, that’s because I have a new curation up at Tilteed. I can recall the day when I first discovered Yema Yema‘s artwork. At first I was like “Huh?” but after I let it sink it a little, I was like “Oh my gosh, this is brilliant!” I get the same reaction to some music discoveries, and these bands/musicians always end up being my long-time favorites. I’m thinking that it’s a good thing that I reacted to Yema Yema in the same fashion, because I can definitely picture myself loving her artwork for a long, long time! 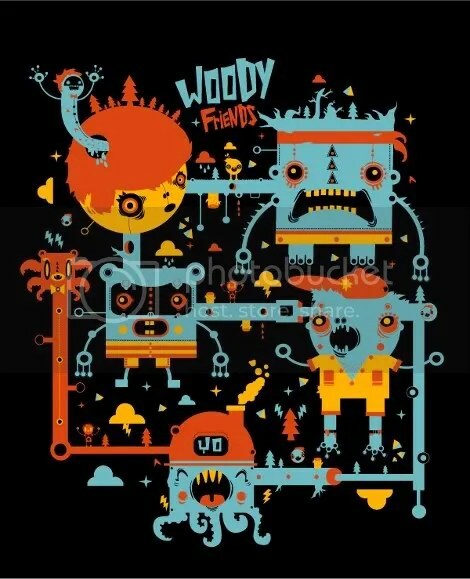 Without further ado, I’m happy to present to you “Woody Friends,” a delightfully quirky piece by Yema Yema. 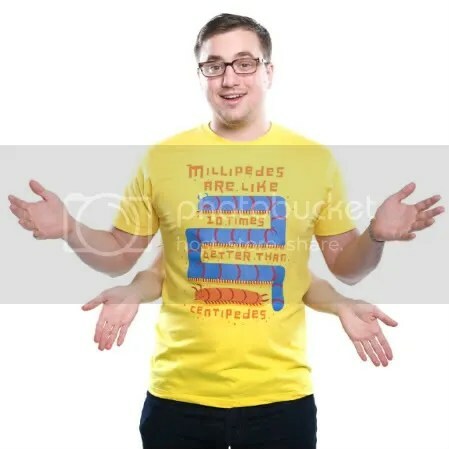 There isn’t a single thing that I don’t like about the design. Her characters are so unique, and I truly mean that. You can see for yourself. They’re like mixtures of robots and monsters, and I personally find them to be cute, creepy, and silly, all at the same time. These characters look like they’re all having a blast hanging out, and that’s exactly what summer’s all about! You can purchase “Woody Friends” by Yema Yema at Tilteed for $12 and save $2 with the coupon code “LovingThisTee.” You’ve got about 48 hours left before it’s gone forever! Thanks for letting me share artwork with you, t-shirt wearers around the world! 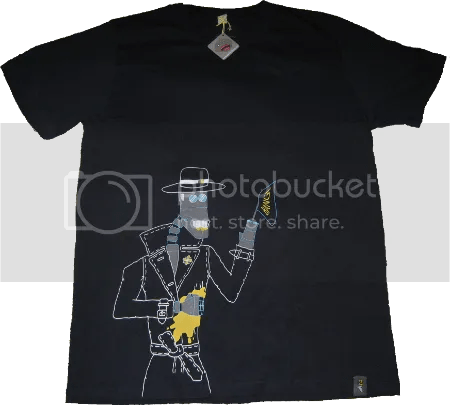 If any artists would like to send me designs to look at for curation in the Tilteed Limited line, please shoot me an e-mail at dunz0[at]tilteed[dot]com.